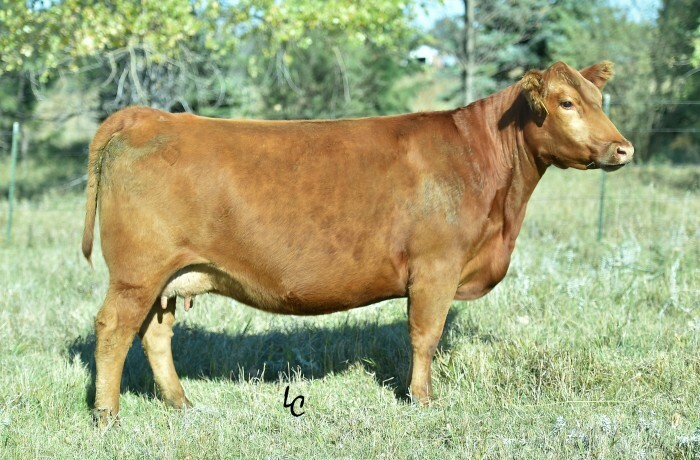 Y9205 “Bridgette” was the high selling SimAngus female in the RA Brown Dispersal in 2013. We are excited to add her into our donor lineup as she has quickly proven with her first two calves that she is something special. Her first calf, Brown Remedy A2203, sold for $31,000 and was the high selling Sim/RA bull in the 2014 RA Brown production sale. This years Beef King daughter is a standout in the replacement heifer pen and has her sights set on the donor pen. Bridgette is moderate in frame with lots of style and that perfect 701T udder structure. Her first ET calves will be arriving in 2015.